It was 30 years ago this past January that the junior and senior classes of an Oklahoman high school asked for permission to hold a prom. The year was 1980 and in most places in America this wouldn’t have been an issue, but this was Elmore, a town that had outlawed public dancing since its founding almost a century earlier. With those dire warnings about the slippery slope of dance freshly planted in my head, I sat in the audience at the Performance Arts Theatre at Capilano University, awaiting the opening bars of Exit 22’s production of Footloose. The show begins with Chicago teen Ren McCormack (Nolan Wilson) and his mother Ethel (Emily Fraser) moving to the rural Texas town of Bomont, after Ren’s father leaves his family ‘to find himself.’ Ren has difficulty adapting to small-town life and the town has similar trouble adapting to him. He soon discovers that Bomont, under the direction of Rev. Shaw Moore (Sean Parsons), has banned all dancing within city limits. It’s left to Ren and his friends to try and help a town move on from a tragic past. Footloose was adapted in 1998 as a stage musical from the 1984 film of the same name, which in turn was loosely based on the real-life events in Elmore, OK. The musical was only a moderate success, but has taken on a healthy second life through high school and college productions. Most recently, there were plans to make a film version of the musical starring Zac Efron, but that project appears to be dead in the water. That film’s producers have apparently had second thoughts, and I soon found out why: the stage musical itself is a complete wash. Maybe those naysaying dance prohibitionists were onto something afterall. It is not an exaggeration to say that it seems unlikely that there is anyone who could spin gold from the dross that is Footloose. The dialogue is trite and patronising, and the majority of the adult characters are shallow and unlikeable. Despite the inherent limitations of the material, the all-student cast does an admirable job of salvaging what they can. The onstage talent is evident, even if it is repeatedly eclipsed by the abysmal script. Jak Barradell (Altar Boyz, White Christmas) as Ren’s best friend Willard is a tumbling and dancing machine. Brittany Scott as Willard’s love interest Rusty, belts a spirited rendition of “Let’s Hear it For The Boy.” Other notable cast members to look out for in the future include Kathy Fitzpatrick, Allison Fligg, and Morgan Dunne. Promising actor Sean Parsons’ (Rent) portrayal of Rev. Moore doesn’t quite ring true. The good reverend is frustrated with his daughter Ariel’s (Megan Bayliss) rebellious ways throughout the show but for the most part does little more than shake his head disappointedly at her antics. When he finally hits her in a moment of anger, it comes without warning and with little explanation. Not too long after that, Ariel sports a black eye courtesy of her dropout ex-boyfriend Chuck Cranston played to a sleazy tee by Victor Hunter. Neither of these incidents receives a satisfactory resolution nor are they addressed further. When Ariel reveals what is supposed to be a big secret to Ren, I doubt there was a single person in the audience who hadn’t already figured it out. That is the heart of the problem with this musical: there is no dramatic tension, no surprises. There are lots of little scenes and lots of movement, but we are given few chances and even less reason to care about the characters. The show is also hampered by director Gillian Barber’s unfocused staging, which is quite literally all over the place. The energetic dancing and vocals showcase a wealth of potential and the youthful cast gives it their all, but there isn’t enough talent in the world to overcome this lame duck of a show. Exit 22 presents Footloose until Apr 3, 2010 in the Performing Arts Theatre at Capilano University, 2055 Purcell Way, North Vancouver, in the Birch Building. For more information, or to buy tickets, phone 604-990-7810 or email boxoffice@capilanou.ca. The musical farce Where’s Charley? 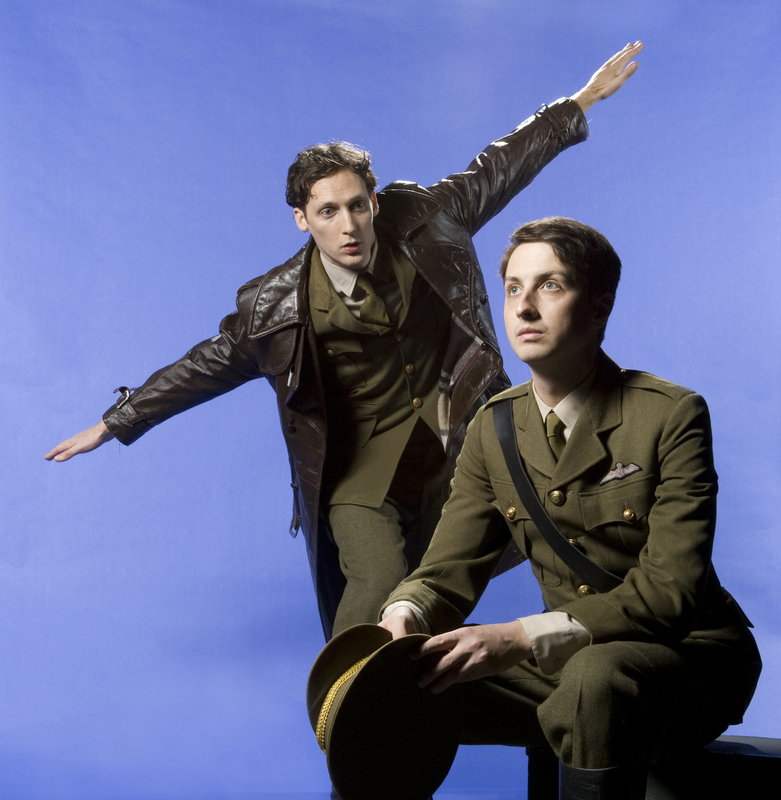 opens at Studio 58 next week, showcasing more of BC’s up-and-coming theatrical talent. Music and lyrics by Frank Loesser, book by George Abbott, directed by Dean Paul Gibson, musical direction by Steven Greenfield, choreographed by Shelley Stewart Hunt, set design by Pam Johnson, and costumes by Chris Sinosich. Joy Castro, Benjamin Elliott, and Lisa Goebel in Studio 58's Where's Charley? Studio 58 presents Where’s Charley? from March 25 – Apr 18, 2010 at Studio 58, Langara College, 100 West 49th Avenue. Tickets are available online or by calling 604-684-2787. Posted in Musical Theatre, Studio 58, Upcoming Shows, Where's Charley? Tagged Benjamin Elliott, Chris Sinosich, Dean Paul Gibson, Frank Loesser, George Abbott, Joy Castro, Langara College, Lisa Goebel, Pam Johnson, Shelley Stewart Hunt, Steven Greenfield, Studio 58, Where's Charley? The 80s are back in the spotlight in North Vancouver for Exit 22’s closing show of their 2009/10 season. 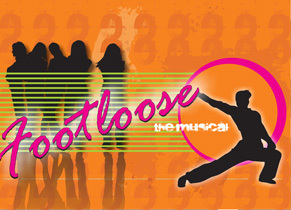 Directed by Gillian Barber and starring the collective talents of Capilano U third-year musical-theatre students, Footloose is the stage adaptation of the film cult classic. The cast of Exit 22's Footloose. Exit 22 presents Footloose from March 25 – Apr 3, 2010 in the Performing Arts Theatre at Capilano University, 2055 Purcell Way, North Vancouver, in the Birch Building. For more information, or to buy tickets, phone 604.990.7810 or email boxoffice@capilanou.ca. We’ve been having some extreme technical difficulties over the past month, with posts disappearing from this site. Passwords have been changed and hopefully that will fix the situation. Our review of the locally-produced and written Debt- The Musical was lost completely as the writer finished it on the road and didn’t save a backup. Our coverage of Nevermore, the Ovation Awards, The Monkey King and BASH’D will all be re-posted; albeit incredibly past their due dates.